Darth Goofy, lasers, turbines, sore losers, the Secret, Thanksgiving, Olympus Bioscapes and more! This issue of The Skeptic Friends Network Skeptic Summary is dedicated to the memory of Paul Kurtz. His contributions to the rise of the skeptical and freethinking movements, and his promotion of secularism and humanism are in a very large part the foundation that all of today’s freethinking movements are built upon. Election 2012 - SFN discusses the US elections before, during, and after. Disney buys Lucasfilm… more Star Wars movies coming - With Mickey as Emperor? Laser therapy (photo-bio-modulation) - Pseudo-scientific medicine for pets. Wind turbines sound causes depression? - Inrasound is a problem, but more study is required. Editor’s Choice: Talk about your sore losers! - Sour grapes abound, post-election. From the Archives: The Secret - The movie about how wishing can come true, if you wish hard enough. Thanksgiving - Whatcha gonna do? Olympus BioScapes International Digital Imaging Competition Website — I love cool strange photos of the science kind. Videos too. And of those kinds of images, my favorites are of the microscopic variety, where we find all kinds of surprises, and telescopic starscapes of the Hubble kind, where we find more suprises. You know, like the most important photo ever taken. And how about those nebulae? But for now, let’s concern ourselves with the very small. Better yet, the small and living. Olympus BioScapes are photos and videos of microscopic images taken of living inner-space systems and microscopic organisms. And as the name, Olympus BioScapes International Digital Imaging Competition more than implies, it’s a contest. A very cool contest! Why? Well for our purposes, it’s because they have the Winners Gallery posted for every year since 2004, and each gallery includes Honorable Mentions and a Technical Merit Award. I’m talking about a whole bunch of stunning photos and videos! 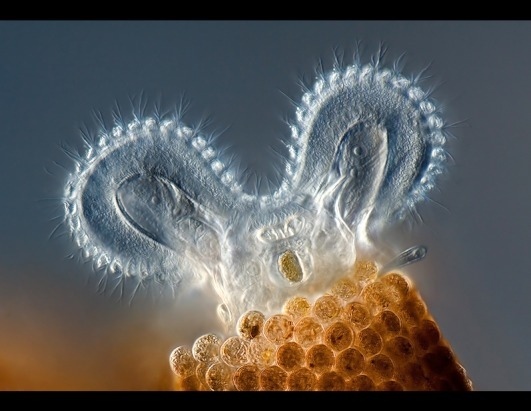 Congratulations to the winners of the 2012 Olympus BioScapes Digital Imaging Competition! Come back December 17, 2012 (9am US East Coast time) to view this year’s winning images and movies. 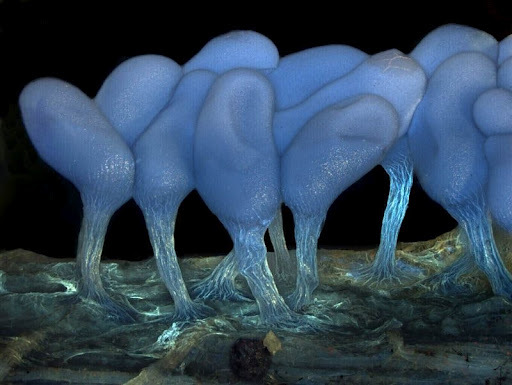 The Olympus BioScapes Digital Imaging Competition® recognizes outstanding images of life science specimens captured through light microscopes, using any magnification, any illumination technique and any brand of equipment. Each person entering can submit up to five movies, images, or image sequences (such as time lapse series). Entries must include information on the importance or “story” behind the images… Selected winning images also become part of a traveling exhibit tour of museums and academic institutions. taken by Charles Krebs of Issaquah, Washington. They point out in the rules area that the judges are not told what kind of camera was used. So if you use a Nikon, you can still win. Not that I expect the readers here to enter. But you can. You can also check for Museum Tour dates. The gallery just might be coming to a museum near you! 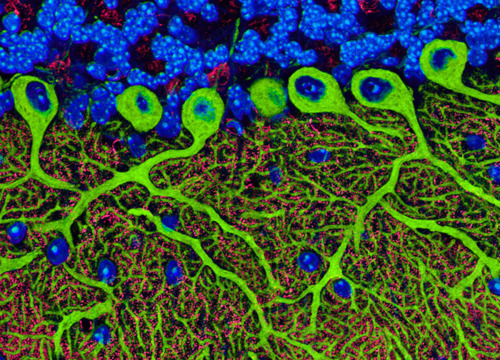 So on to the Olympus BioScapes International Digital Imaging Competition Website and be once again reminded of how visually mind-blowing the natural world is. Communicating through MRI? How do they know what he is saying? Evolution of lactose tolerance: Why do humans keep drinking milk? The Last Myth: What the Rise of Apocalyptic Thinking Tells Us About America, by Mathew Barrett Gross and Mel Gilles. “During the first dozen years of the twenty-first century — from Y2K through 2012 — apocalyptic anticipation in America has leapt from the margins of society and into the mainstream. Today, nearly 60 percent of Americans believe that the events foretold in the book of Revelation will come true. But it’s not just the Christian Right that is obsessed with the end of the world; secular readers hungry for catastrophe have propelled fiction and nonfiction books about peak oil, global warming, and the end of civilization into best-sellers, while Doomsday Preppers has become one of the most talked-about new reality TV shows on television. How did we come to live in a culture obsessed by the belief that the end is nearly here? Talk about your sore losers!